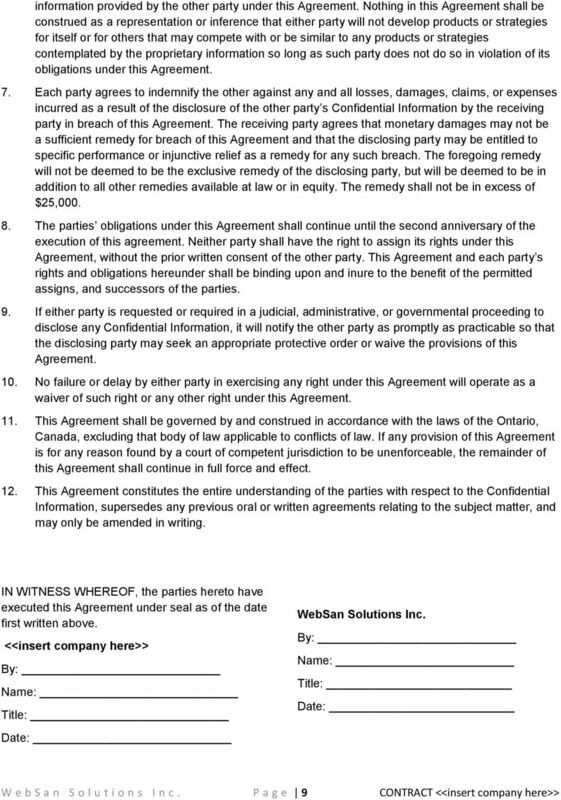 Download "Service Agreement Hosted Dynamics GP"
1 Service Agreement Hosted Dynamics GP This is a Contract between you ( Company ) and WebSan Solutions Inc. ( WebSan ) of 245 Fairview Mall Drive, Suite 508, Toronto, ON M2J 4T1, Canada. 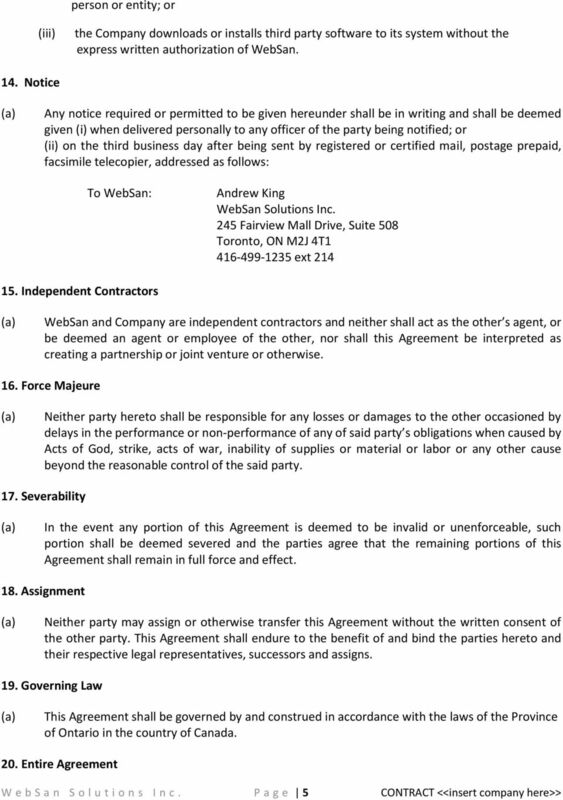 This contract applies to any WebSan software service, including, but not limited to: Moniroo portal as well as Hosted Dynamics GP. WHEREAS: 1. 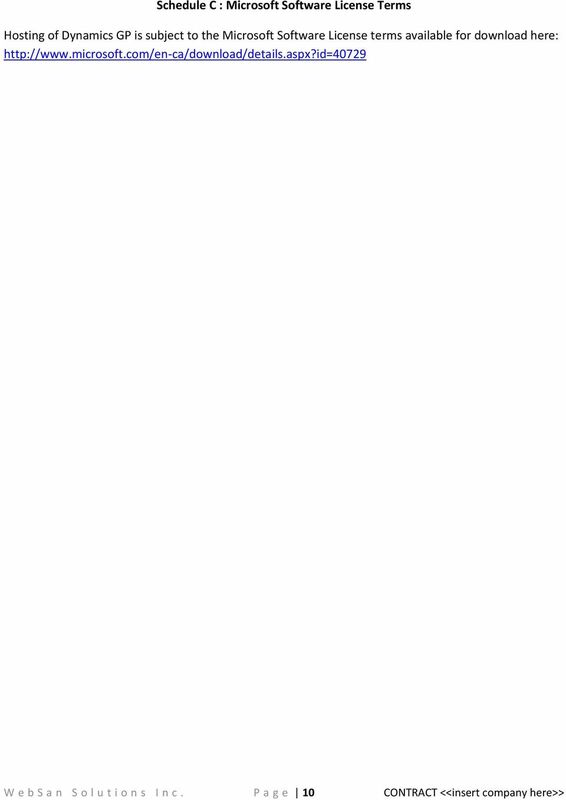 WebSan is a corporation and a Microsoft Dynamics Business Partner providing business and technology services to companies, including hosted software solutions, on-site installation, training, sales, consultation, and telephone support. 3. 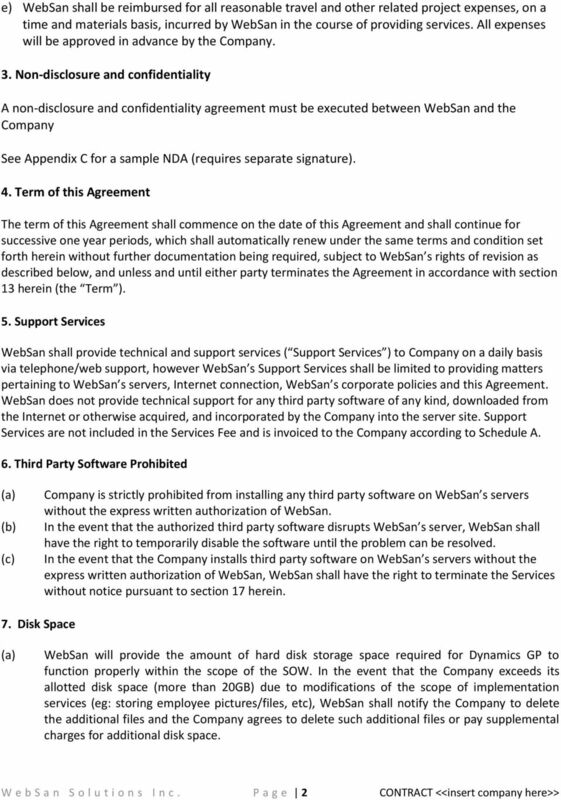 The Company wishes WebSan to provide Dynamics GP hosting services for the Company and WebSan agrees to provide the same subject to and upon the terms of this Agreement. 1. 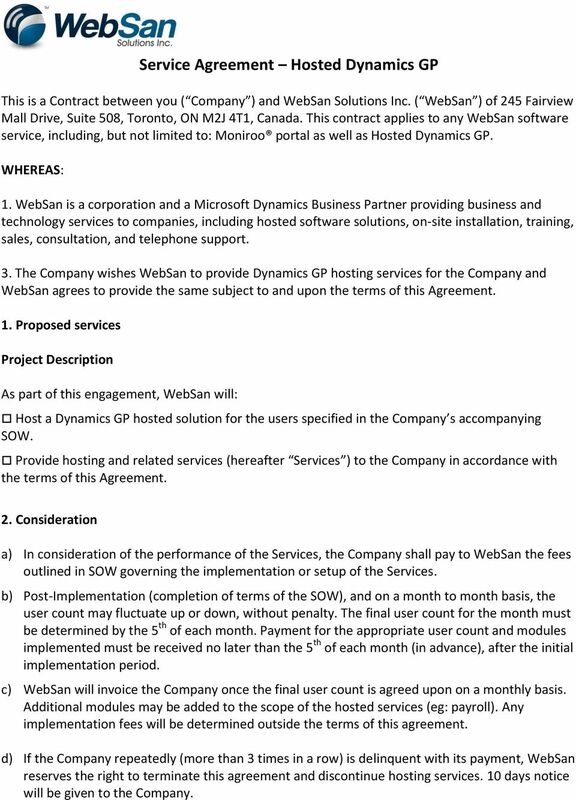 Proposed services Project Description As part of this engagement, WebSan will: Host a Dynamics GP hosted solution for the users specified in the Company s accompanying SOW. Provide hosting and related services (hereafter Services ) to the Company in accordance with the terms of this Agreement. 2. Consideration a) In consideration of the performance of the Services, the Company shall pay to WebSan the fees outlined in SOW governing the implementation or setup of the Services. b) Post-Implementation (completion of terms of the SOW), and on a month to month basis, the user count may fluctuate up or down, without penalty. The final user count for the month must be determined by the 5 th of each month. 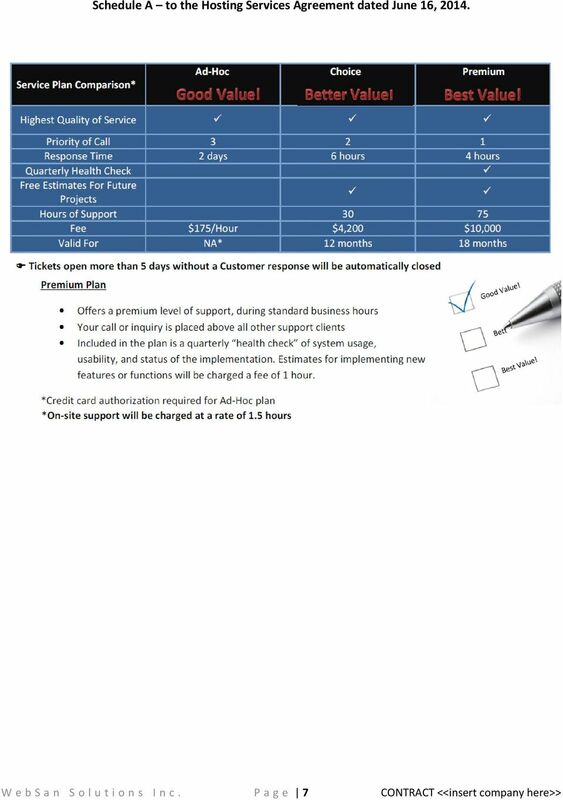 Payment for the appropriate user count and modules implemented must be received no later than the 5 th of each month (in advance), after the initial implementation period. 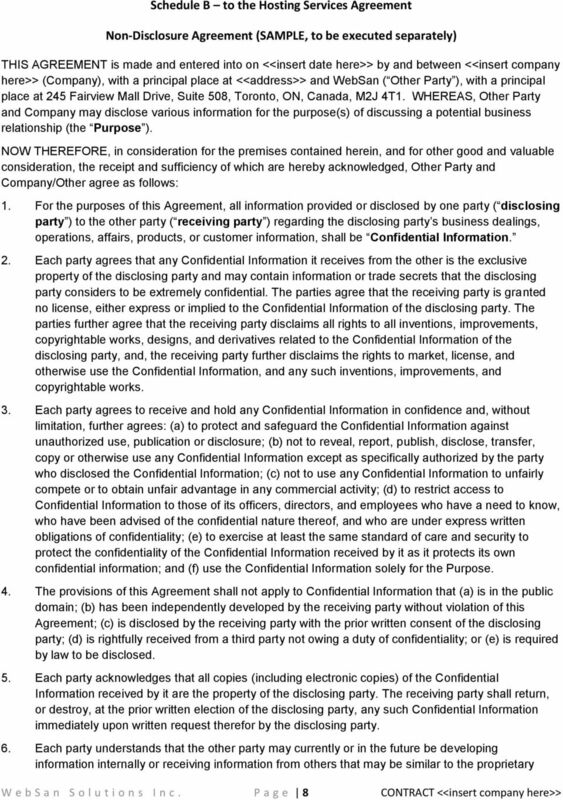 c) WebSan will invoice the Company once the final user count is agreed upon on a monthly basis. 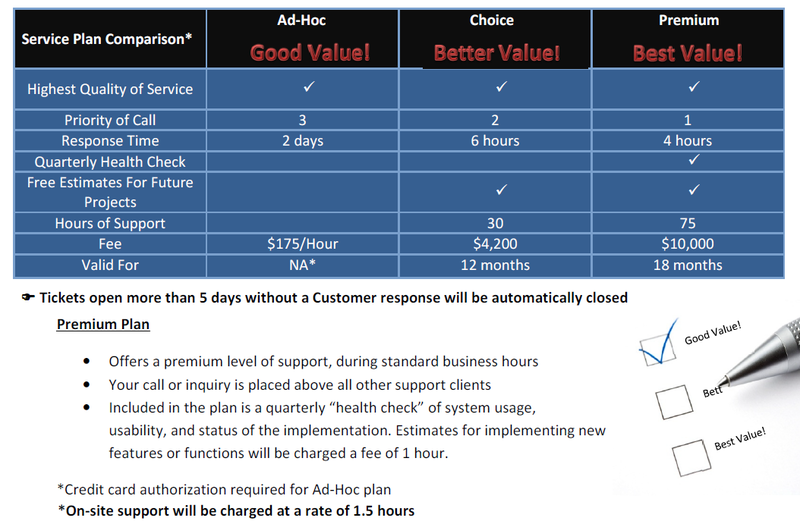 Additional modules may be added to the scope of the hosted services (eg: payroll). 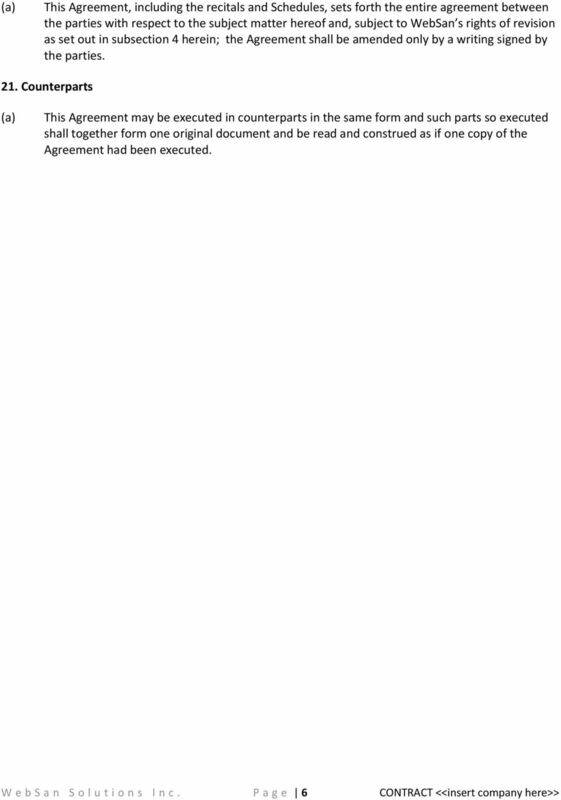 Any implementation fees will be determined outside the terms of this agreement. 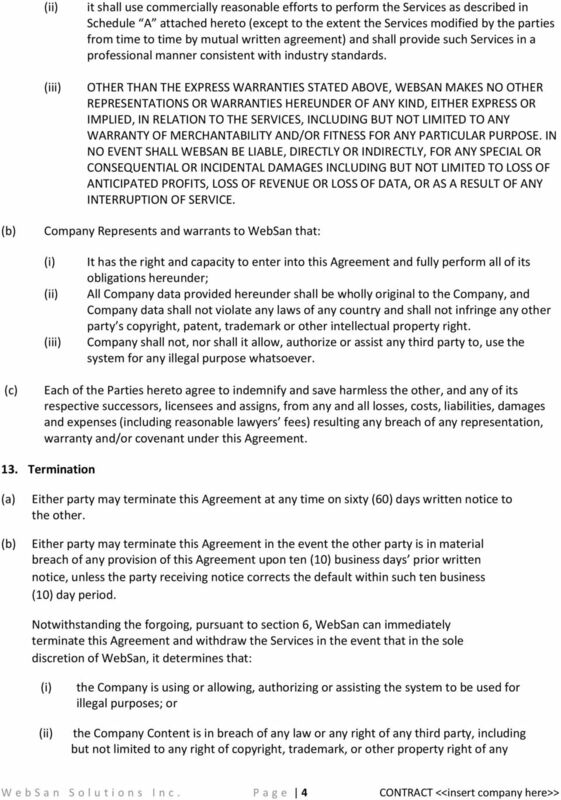 d) If the Company repeatedly (more than 3 times in a row) is delinquent with its payment, WebSan reserves the right to terminate this agreement and discontinue hosting services. 10 days notice will be given to the Company.